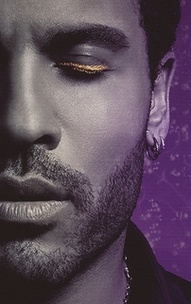 Cinna, played by Lenny Kravitz, is known for his calming personality and gold eyeliner in the book-turned-blockbuster The Hunger Games. But what’s his liner secret? The film’s makeup department head Ve Neill revealed the exact product for the trademark gold eyeliner — and it’s not eyeliner! Neill used MAKE UP FOR EVER Metal Powder in #1 Sunflower Gold. According to Hollywood Life, Neill uses the MUFE gold pigment (with a small, pointed eyeliner brush) instead of a liner because this formulation has a longer hold than a pencil or liquid.